Non-conformity grew up against an atmosphere of religious intolerance, bullying and even violence. The Peace Mala is a powerful symbol of many initiatives now combating those same trends in today's culture. Revd. 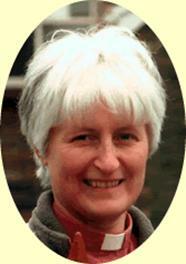 Pamela Cram is a Methodist minister and the first woman to be made Moderator of the Free Church Council in Wales. The Free Church Council is a representative body for non-conformist groups which, as well as the Methodists, include the Presbyterians, Welsh Independents, Welsh Union of Baptists, United Reformed Church, Salvation Army and Congregational Federation. The Council is currently in the process of reassessing its role and is looking at a possible merger with CYTUN (Churches Together in Wales). Revd. Pamela Cram was ecumenical officer for Methodism in Wales for five years, during which time she worked to bring the various Christian denominations together.